So Lonely in Gorgeous: Wow, I Don't Know What I Did To Deserve This But I Like It!! Wow, I Don't Know What I Did To Deserve This But I Like It!! Congrats ladies, you deserve this!! You got it!!!!! I was so worried it would get held by customs again or worse...lost. In Japan, they sell seasonal kitkat flavors. aww thank you so much liz! 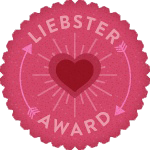 *virtual hug* My very first award! *virtual hug back* you know I love you woman! !